There are big reasons to like woodworking thickness planers. 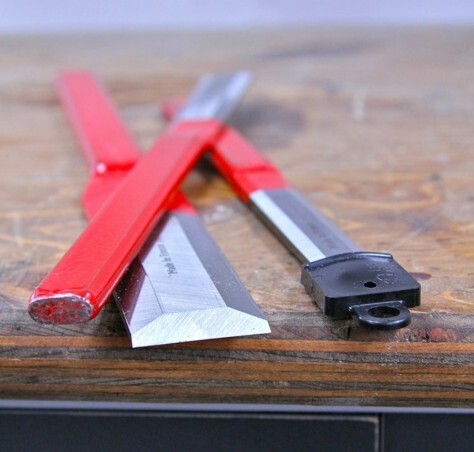 They’re a class of stationary power tool designed to smooth the faces of boards by shaving off a thin layer of wood with a set of rotating blades. Feed an ugly, grey board into one end of the machine, and out comes a smooth, gleaming, slightly thinner board from the other. Forty years ago you needed a forklift to move the smallest thickness planers around. Nowadays the lightest machines weigh in at about 50 lbs., while costing less than you’d pay in tax on one of those old 1970’s models bought new. But if a decrease in price and weight were all there was to talk about, then the story wouldn’t be worth telling. What really makes thickness planers shine right now is performance. Amazingly smooth boards currently come out of benchtop thickness planers costing between $300 and $800. These little machines can even beat high-output lumberyard machines in a contest of quality. With a fresh set of blades in place, the best planers create an almost finish-ready smooth surface on wood. They’re amazing. 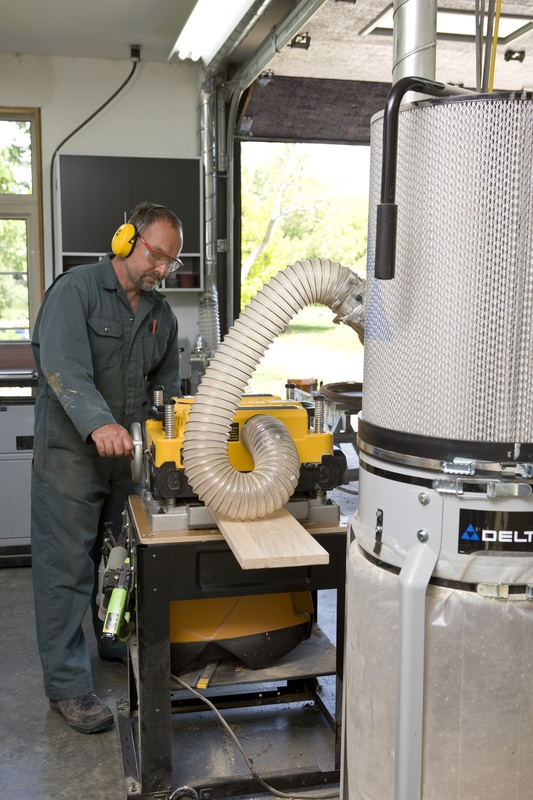 Most people aren’t involved in home woodworking very long without wanting a thickness planer. Besides the substantial savings you can realize by turning low-cost, rough lumber into furniture-ready boards, they also offer design advantages. When wood of a non-standard thickness of, say, 1/2″, 5/8″ or 7/8″ is really the best option visually for a certain project, a thickness planer makes that kind of wood available. It’s practical and easy. Couple a modern benchtop thickness planer with a hand-held metal detector and you’ve got a terrific combination for salvaging wood from the “urban forest”. Shipping crates, pallets and even junked pieces of furniture become valuable resources when you can find hidden nails and screws reliably, take them out, then plane the wood into excellent lumber for small and medium-size projects. Back in the early 1990s I bought (and have since worn out) my first thickness planer, and since then I’ve completed published shop tests on this tool category several times. 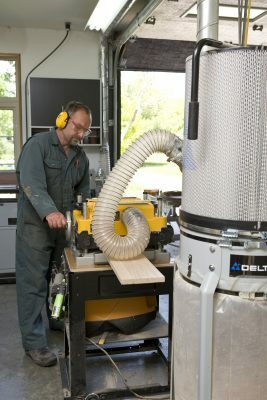 One recurring problem with all thickness planers up until now has been the tendency to clog up with shavings when operating without vacuum dust collection. Typical planers rely on incidental air movement from the spinning blades to shoot shavings out of the machine. But when the shaving load gets too high, they clog up, marring the wood surface as it’s planed. You can solve this problem by mechanically removing shavings with a vacuum system connected to your planer, but there’s a better option. DEWALT offered the first major improvement to have appeared in benchtop thickness planer design in a long time. In addition to a three-blade cutterhead (typical machines have only two), and dual-speed operation, their DW735 includes an on-board fan that aggressively draws shavings away from the wood. Clog-ups are virtually impossible. I know from several planing jobs that the power of this fan-assisted system is more than enough to propel planer debris through a 6-foot long flexible hose connected to a cloth-topped waste can. I have my own DW735 connected to a vacuum system that draws the shavings even more positively. At the moment, the DW735 is the best benchtop thickness planer I’ve ever used and it’s been this way for a while. 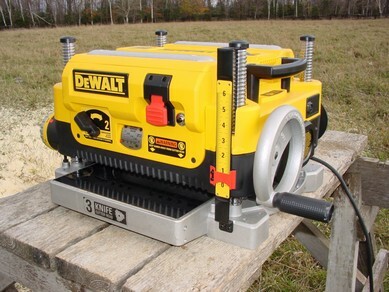 It also doesn’t look like any other power tool manufacturer is taking a run at beating the quality of the DW735. There are many other very nice benchtop thickness planers out there, but none are quite as nice as this one. Click below to watch a video I made a while back about how I keep my DW735 running sweetly. The same advice applies to most benchtop thickness planers.